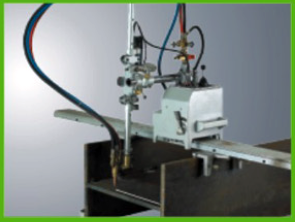 The machine is an automatic gas cutting unit for rapid and precise cutting of H-shape web and flange. 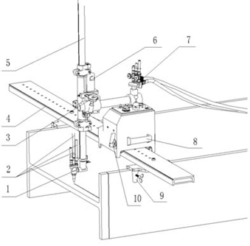 It has four features that contribute to on-site efficiency and labor saving. 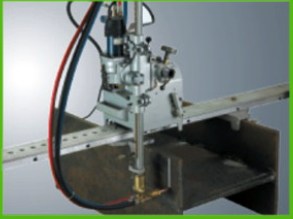 Rail and main unit have been combined; so set-up time is greatly reduced. 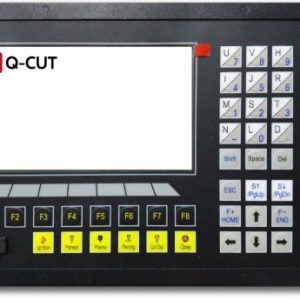 S.C.R control for smooth, even cutting speed. 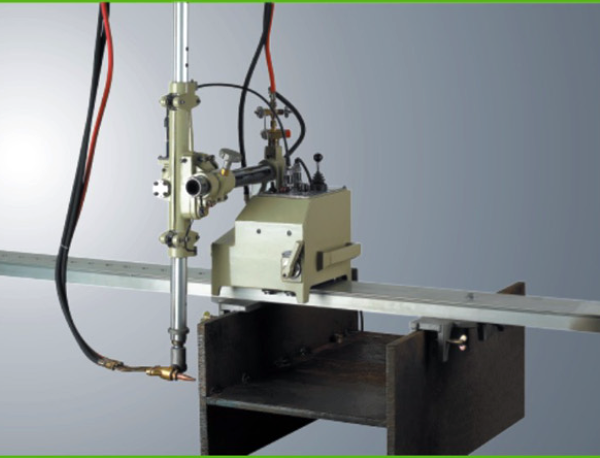 Add to these features the quality construction which ensures durability and trouble-free operation. 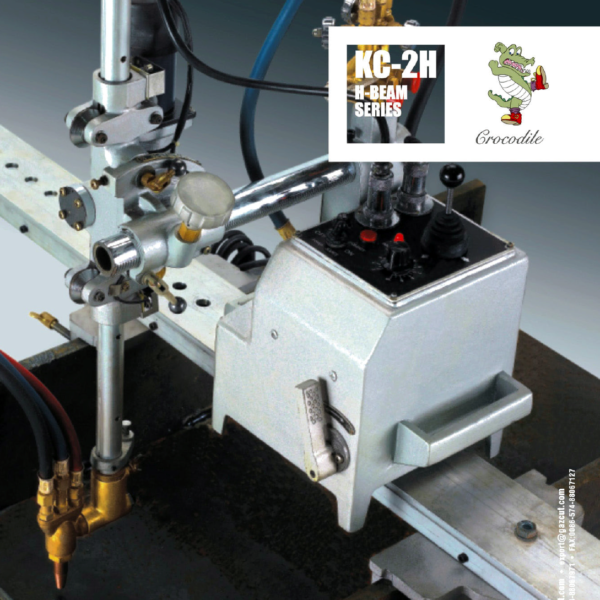 And you have an economical efficient compact gascutting machine for small H-Shape steel. 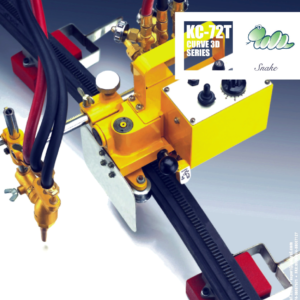 Easy to Use – Two motors, one for web cutting and one for flange work. 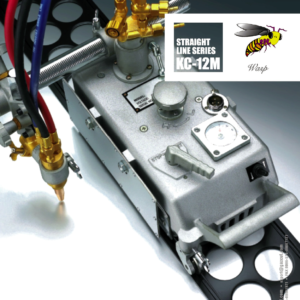 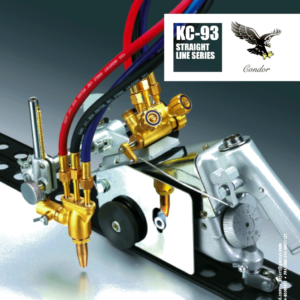 The KC-2H Crocodile can make diagonal straight and bevel cuts of the flange as well as the web. 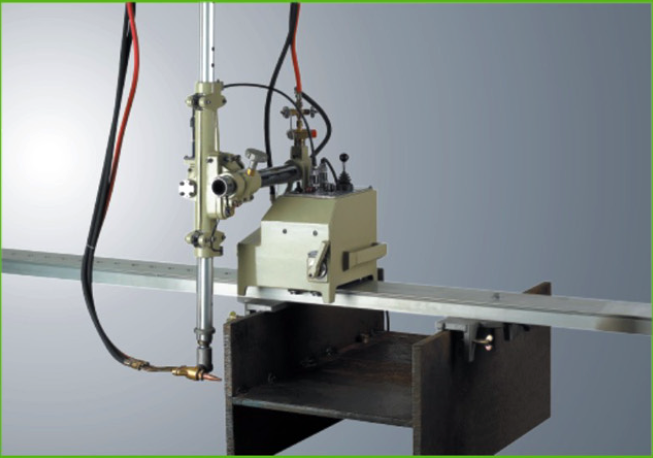 The angle is set by adjusting the rail or the vertical rack-bar and the result is a high precision diagonal cut that is clean and sharp. 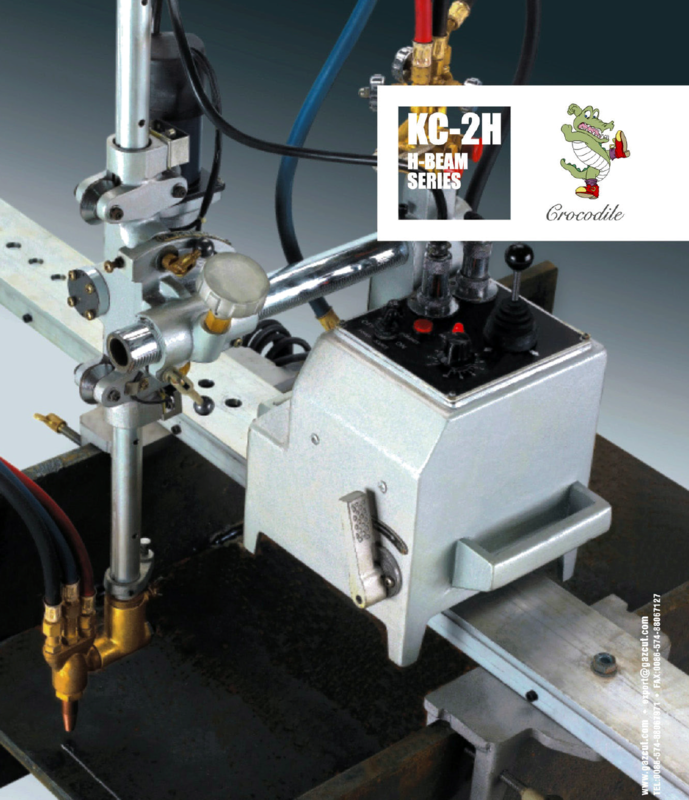 By using the KC-2H you can get the best flange bevel cuts.